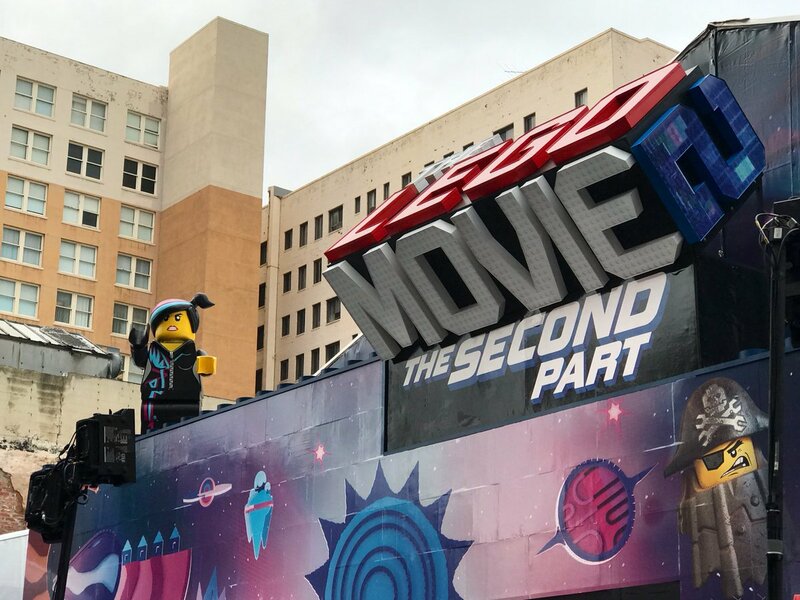 Just like in LEGO Movie 2: The Second Part, you can travel from Bricksburg to space at the LEGO Space Hollywood, which runs January 26 – February 10 at Hollywood and Vine. 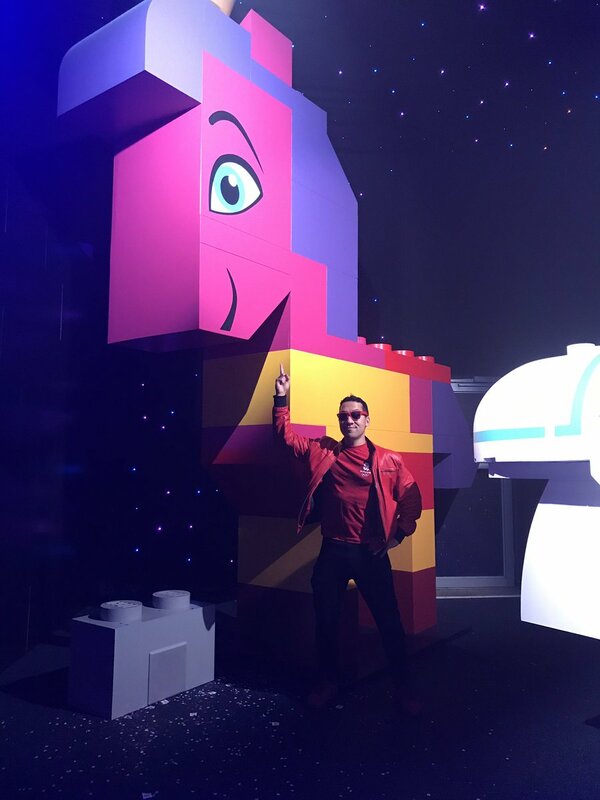 The LEGO Space is a 6000 sq. 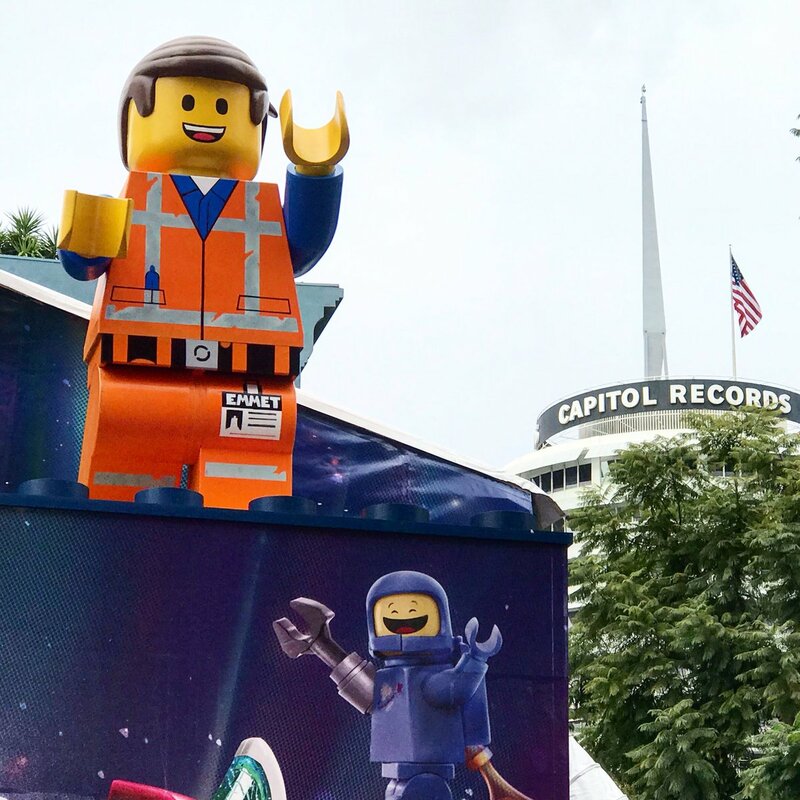 ft. pop-up attraction in Hollywood with more than a dozen photo opps, video photo booths, and some freebies to promote the LEGO Movie 2. 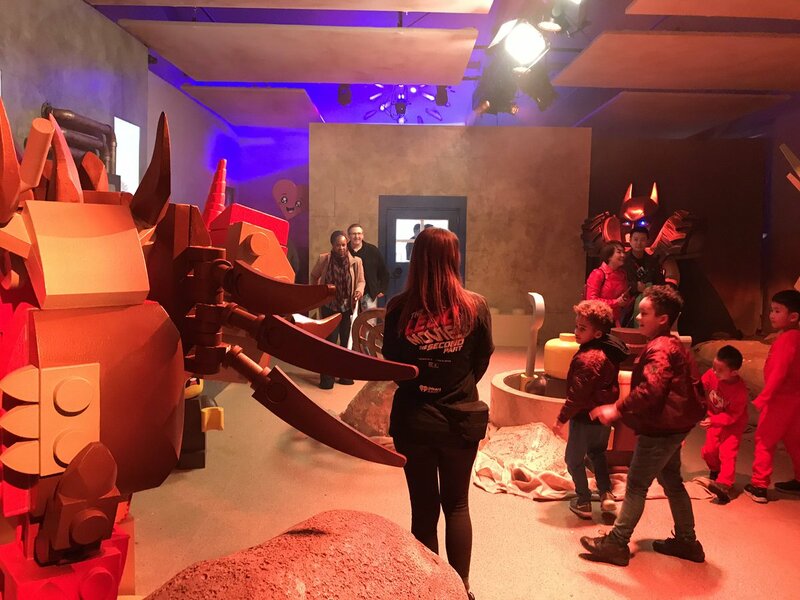 The LEGO Space continues a trend of movie studios creating immersive experiences that bring attendees into the world of the movie, with attendees posting lots of photo opps with movie branding on social media to help increase awareness, buzz, and drive box office sales. Make sure you do all the photo opps in our handy walkthrough checklist! 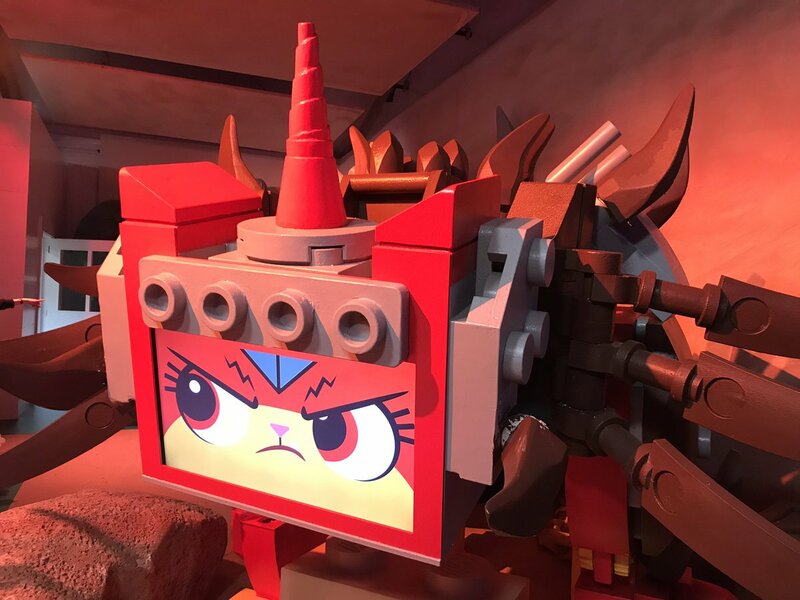 You can also take pics looking through the LEGO binoculars, on a LEGO motorcycle, in Emmett’s bedroom, or on a couch with the pillow from the movie. After you finish Bricksburg, you enter the space room. 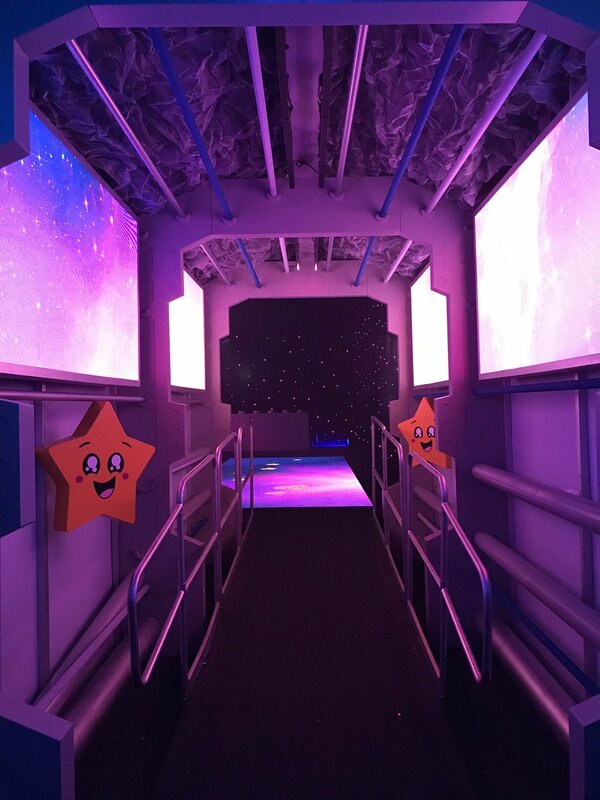 As you walk up the space ship style hallway, a calvacade of HELLO happy stars welcomes you to a bigger room with more photo opps. – Double Dance video: Video of you and a friend dancing. – Confetti Video Booth: Grab confetti and toss it in the air for a fun 5-second video you can email to yourself. – General Mayhem’s Sticker Room: Get a sheet of stickers and put them anywhere you want in the room. 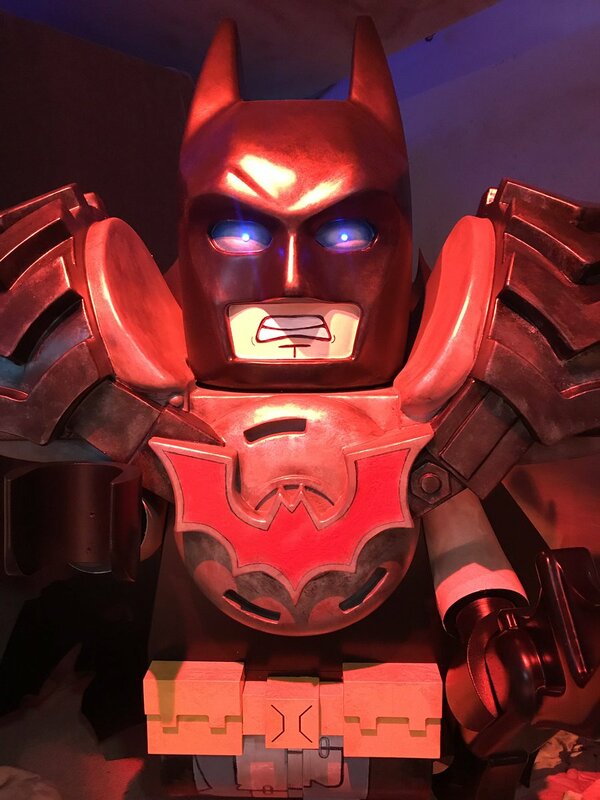 – Family LEGO Creator. Create LEGO versions of your family (up to 6 people) via computer, and print out a family sticker with your creations. This has the longest line because it takes a while for people to create LEGO custom avatars. Hopefully this tool is also online! – General Mayhem’s Spaceship Video: Take a photo inside Mayhem’s ship, and add stickers to it, and email or text it to yourself. 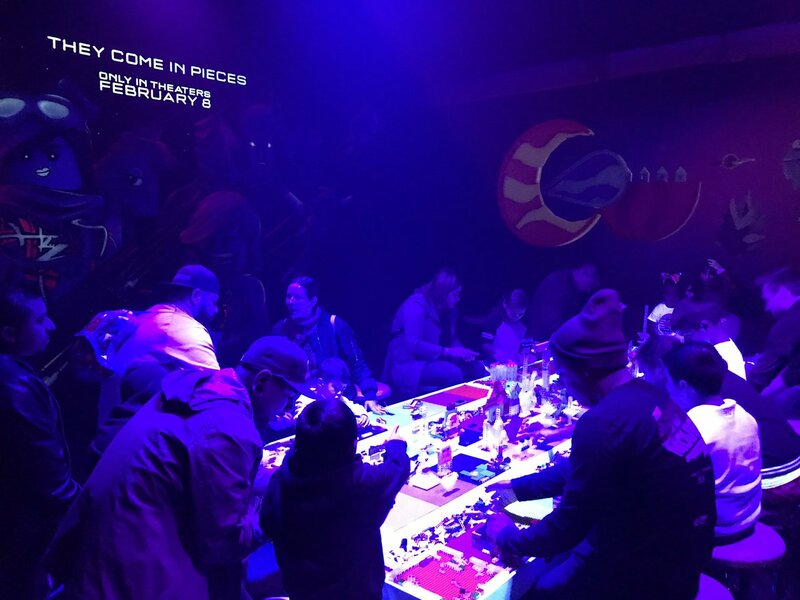 – In the blacklight-lit LEGO play room, you and your kids can of course, play with LEGO! 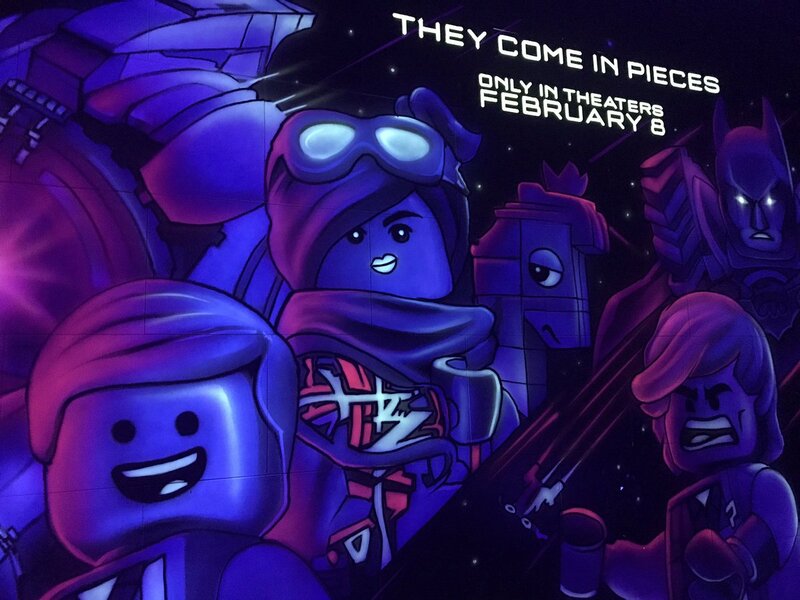 Ask for the LEGO movie posters here. – You can also take pics with Queen Whatevra Wa’Nabi, and the big red heart. Overall, it’s a lot of fun, great for kids. 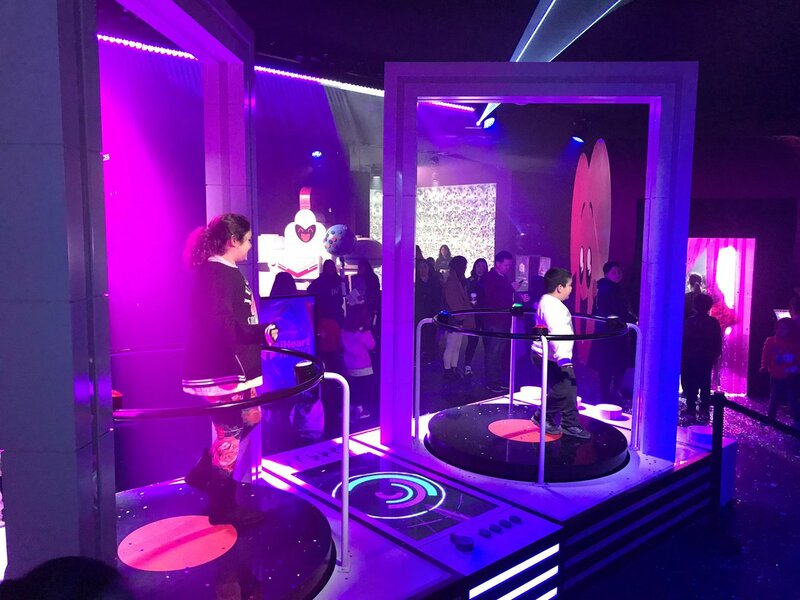 Warner Bros. has created several family friendly immersive experiences at the Hollywood and Vine location to promote its films including the IT House, Ready Player One Stacks, and Smallfoot yeti village, most of which we’ve covered in our articles.